Panelvert Fgr Duct Dbl Side Mt 4x5x78"
ICC's Dual Vertical Finger Duct Panels (side-mount) are deigned to compliment the ICC 7' Distribution rack. 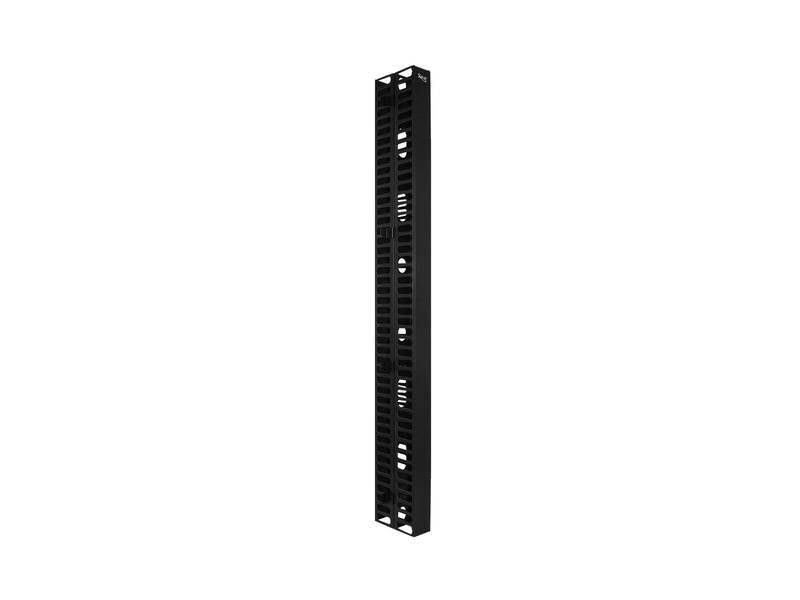 The panels are 4"x 5"x78" high and provides vertical cable management for the front and back of the rack. It comes complete with mounting brackets and screws. Package also includes snap-on cover to help facilitate installation.